During his farewell address from the Oval Office, former president Ronald Regan said that, "All great change in America begins at the dinner table." 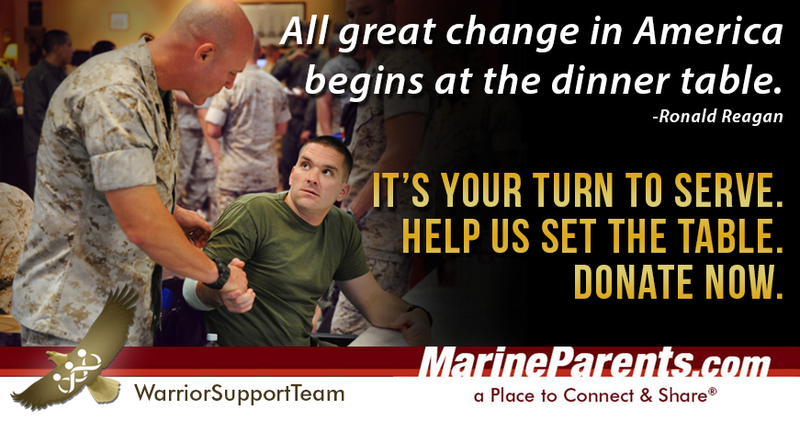 With that sentiment in mind, we need your help ensuring that our Warrior Support Team is able to continue serving meals to recovering warriors on both coasts. This is your chance to be great and change lives. Learn more in our first article. "A wounded warrior came to the dinner buffet on crutches with his wife. When his wife noticed the table of puzzle books, she urged her husband to choose one. She explained to the volunteers that her husband has sustained brain damage from his wound and was having difficulty with some cognitive skills.Together they picked out a book entitled Brain Games. The wounded warrior asked his wife to leaf through the book. He pointed out that there were lots of different kinds of exercises in that book, including reading retention passages. He said, "Get that book, because I scored low on my memory tests too." He came over to a near-by volunteer and took her hand and kissed it. He said, "Thank so much for bringing all of this (food, treats and puzzles); you have no idea what it means to me." -- Susan, Manager, Warrior Support Team--East. 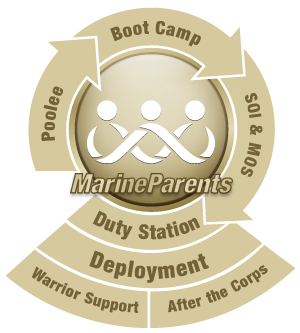 Outreach Programs of MarineParents.com, Inc.
Marine Parents provides support, information, and services to recruit and Marine family members and troops through several outreach programs which span the life-cycle of your recruit/Marine's career in the Marine Corps. 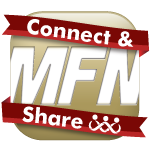 How can we help you, your Marine, or other service members? 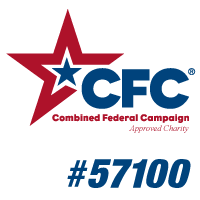 Our mission is to serve you, our Marine Corps and military family members, as well as your loved one serving our great nation. 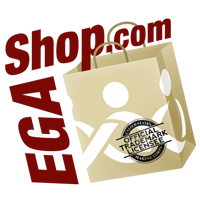 Click here to learn how we can help you today! 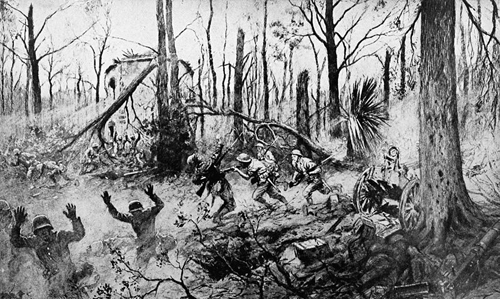 "La Brigade Marine Americain Au Bois de Belleau" or "The American Marines in Belleau Wood" by French war correspondent Georges Scott. June 26 marks the anniversary of the end of one of the most important and legendary battles in Marine Corps history--The Battle of Bois de Belleau, or Belleau Wood. 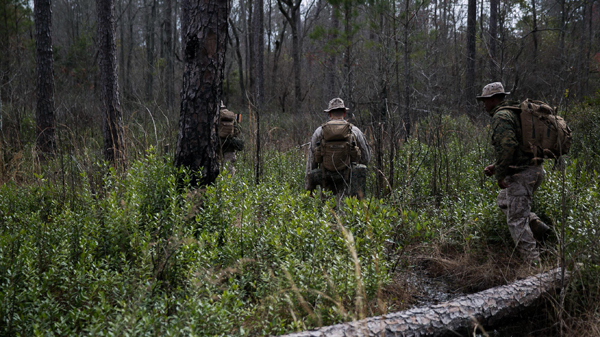 This was a battle that exemplified the Marine Corps' core values of honor, courage, and commitment. It was a battle that catapulted the Marine Corps to worldwide prominence. And it was a battle that helped turn the tide of "The Great War" (as WWI was then known) in favor of the Allies. 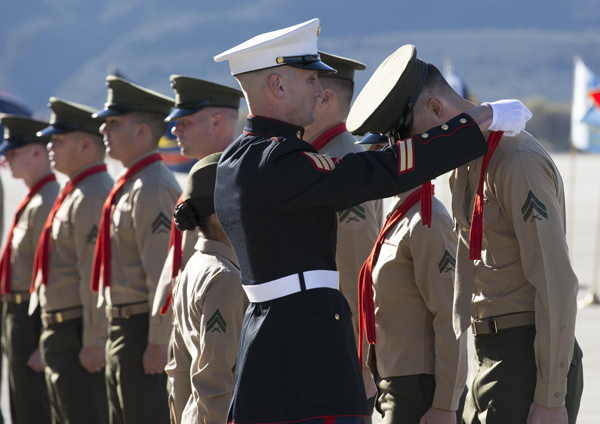 Marine Corps tradition maintains that the red stripe worn on the trousers of officers and non-commissioned officers, commonly known as the "blood stripe," commemorates those Marines killed storming the castle of Chapultepec in 1847. Although this belief is firmly embedded in the traditions of the Corps, it has no basis in fact. The use of stripes clearly predates the Mexican War. 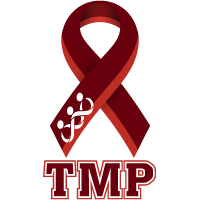 The National Center for Post Traumatic Stress Disorder (NCPTSD) has designated June 27th as PTSD awareness day, a day to recognize PTSD, an issue that many warriors face upon returning from combat. According to the National Center for PTSD, between 10 and 20 percent of veterans who have served in OIF or OEF will suffer from PTSD at some point in their lives. Male veterans are more likely to suffer from PTSD than female veterans. June 25 marks the anniversary of the beginning of the Korean War, as on that day in 1950, eight divisions of the North Korean People's Army crossed the 38th Parallel and invaded the Republic of Korea (South Korea). Within three days the capital, Seoul, had been captured. 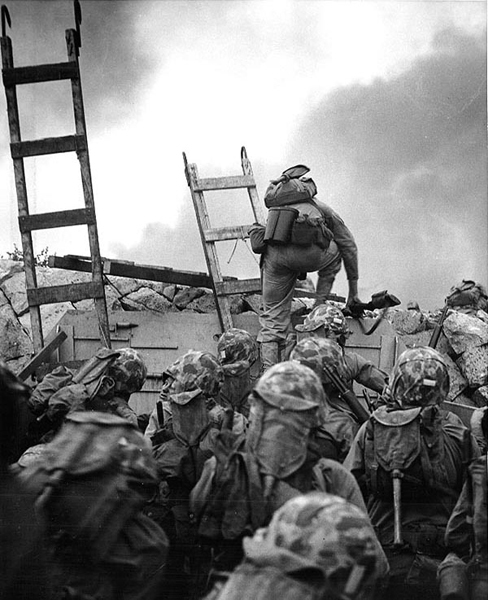 On June 30, President Harry S. Truman ordered an American naval blockade on the Korean coast and authorized the sending of American ground troops to Korea. Two days later, Commander in Chief of the Far East, General Douglas MacArthur, formally requested a Marine regimental combat team be deployed to Korea. For the next three years, a joint South Korean and United Nations force (led by the Americans) battled Chinese and Soviet-backed North Korean forces for control of the Korean Peninsula. 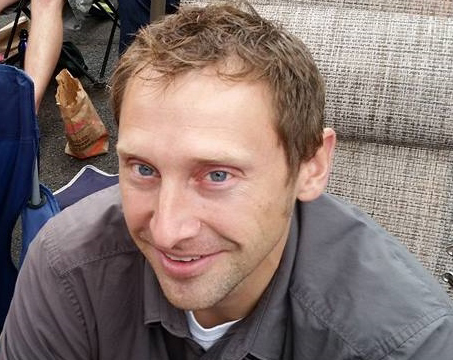 This month's TMP featured participant is a structural engineer from Upstate New York--Brendan Hughes. 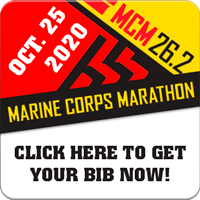 Brendan has competed in numerous half-marathons and Ragnar Relays (overnight relay races in which teams of 6 or 12 people combine to run 200 miles) but this year's Marine Corps Marathon will be his first full marathon. 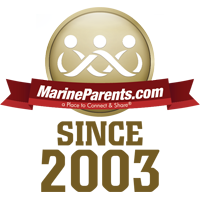 According to Brendan, "Joining Team Marine Parents...allows me to give back to those whose sacrifices are to be celebrated in the city that represents our great country. I am looking forward to meeting our team members and celebrating at the finish line!" Brendan is still working toward his goal of raising $500, but with your support and generosity we know he can get there in no time! Thanks for being a part of the team Brendan, and we look forward to seeing you in Washington!